France could be fined if the European Court of Justice rules that it has failed to heed a final warning from the European Commission in 2008. 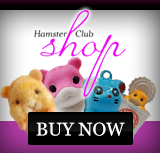 Numbers of Great Hamsters of Alsace are dwindling. The Commission says only 298 burrows were found in 2010, down from 1,167 in 2001. Farms and roads threaten their habitat. 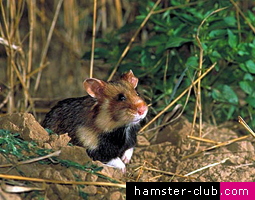 The hamster's last remaining habitat in France is the Lower Rhine department, near Strasbourg. Hamster numbers are calculated on the basis of one hamster per burrow. Threat of extinction "If agro-environmental measures were put in place, in 2008, to protect the Great Hamster [Cricetus cricetus], they are incomplete at this stage," EU Advocate General Juliane Kokott said on Thursday. Her opinion on the case has been handed to the judges. In most cases the judges accept the advocate general's opinions and the court's rulings are binding on EU member states. The Commission wins most infringement cases against states for alleged breaches of EU directives. In 2008 the Commission called on France to do more to "combat the agricultural practices and the urban sprawl that are destroying the animal's natural habitat". According to Ms Kokott, French conservation measures apply to only 60% of the areas inhabited by the Great Hamster. 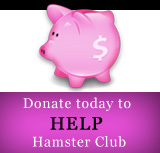 She said the measures taken were insufficient to ensure the hamster's long-term survival. France had failed to fulfil its obligations under the EU directive on conservation of naturabl habitats, she said. Many farmers in the region have planted maize instead of the hamster's favourite crop - alfalfa (lucerne), the French news website L'Express reports.